A positive picture is being etched out for a local business that opened its doors near the end of 2018. Jeffrey Meehan/Pahrump Valley Times Chanda Wieland, owner of the Crazy Calico, a new consignment store in Pahrump, stands inside her shop at 1971 Pahrump Valley Blvd., Suite C, in February 2018. Wieland launched the new venture in November 2018. 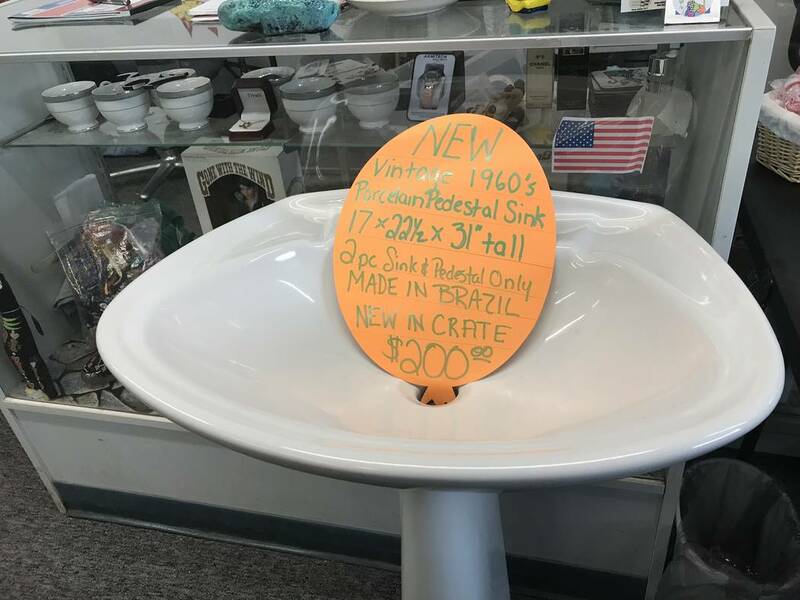 Jeffrey Meehan/Pahrump Valley Times Several items have made their way through a local consignment shop in Pahrump, including clothing and other items. Options range from as low as one dollar to higher-priced items. 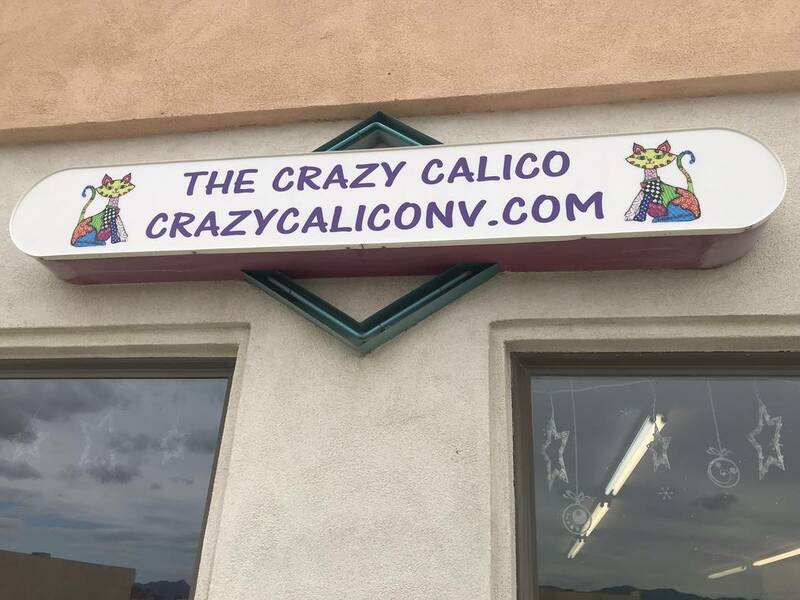 Jeffrey Meehan/Pahrump Valley Times The Crazy Calico, a new consignment store in Pahrump, launched in November 2018. The shop has seen a variety of items come through, including formal dresses, shirts and other clothing and other items. Jeffrey Meehan/Pahrump Valley Times The Crazy Calico, a new consignment store in Pahrump, sells its logo at the store. The new shop opened in November at 1971 Pahrump Valley Blvd. 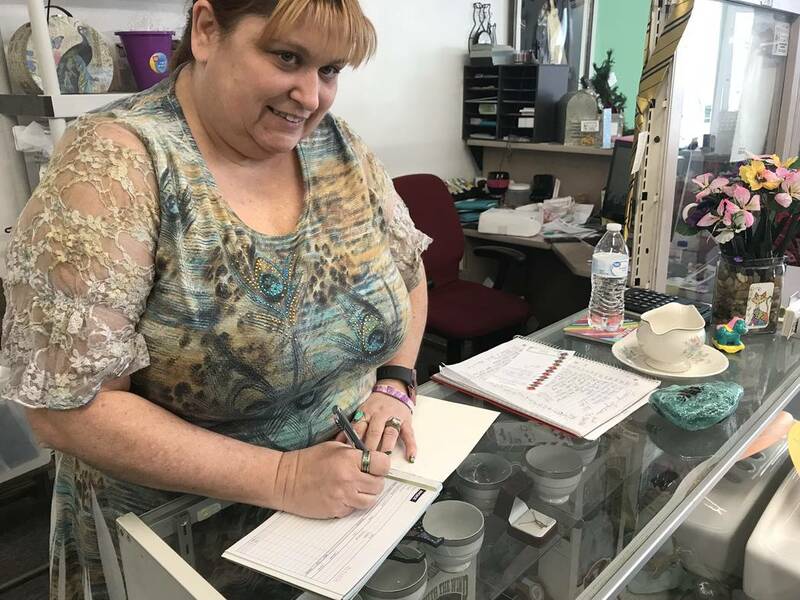 Chanda Wieland, owner of a local consignment shop in Pahrump, The Crazy Calico, opened her new venture at the corner of Calvada and Pahrump Valley boulevards in November, and things have been moving in a good direction. “Most of the business so far has been word of mouth, and it’s been great,” said Wieland. The Crazy Calico at 1971 S. Pahrump Valley Blvd., Suite C, has carried a variety of items in its consignment venture including formal dresses, clothing and other unique items. Connections Wieland has made in the community over the years has been part of her success, she said. She’s been active in the Pahrump Moose Lodge’s Women of the Moose and other organizations such as the American Cancer Society. Wieland was an event lead for the cancer society’s Relay for Life event in Pahrump for several years and worked for the national organization as a recruiter for its Making Strides Against Breast Cancer Campaign in 2013-14. “I’m really involved in the community, so I want to make sure that we continue to see things grow,” Wieland said. Wieland said she also works with a few charities, including the cancer society, the local Moose lodge and the veterans food pantry in Pahrump. Wieland is also a veteran of the U.S. Army. The store has several items with color-coded tags that indicate if those items will benefit a specific charity: yellow tags are for the Moose in Pahrump; purple tags indicate benefits for the American Cancer Society; and green tags indicate benefits for the food pantry, according to Wieland. If people come in with identification to prove they’re a Moose member or a veteran, Wieland said, they’ll get a 10 percent discount. Opening the shop has been a longtime dream of Wieland’s. In the early 1990s, Wieland was working on a deal to buy a shop from someone in Michigan where she was living at the time. That deal didn’t come to fruition. Later, in the late 1990s, Wieland started selling online in Yahoo auctions and progressed to selling on eBay in 2000, according to information on Crazy Calico’s website. According to the website, Wieland was a power seller for over a decade until 2008 when “things started to change on the online sales side…” That led to her leaving eBay in 2011 as her main source of sale. She has continued to sell on Amazon and other places. Today, she continues to sell online and has now opened her brick and mortar store. Prior to opening the shop, Wieland worked as a bartender in the local area, as well as keeping her involvement in several organizations. Wieland, who has been in the Pahrump area for about 12 years, said she’s met some amazing people since launching in November with customers that have come into the store. “Then we start talking, and we realize that we’ve known each other or we’ve been part of something together, and it’s the community relationships that I love,” Wieland said. Consignees can make an appointment online at crazycaliconv.com. Information can be found on under the consignments, which is under the services tab on the website. Consignees get 40 percent of the sale of an item with Crazy Calico getting 60 percent if they want a check, Wieland said. For store credit, it’s a 50/50 split. 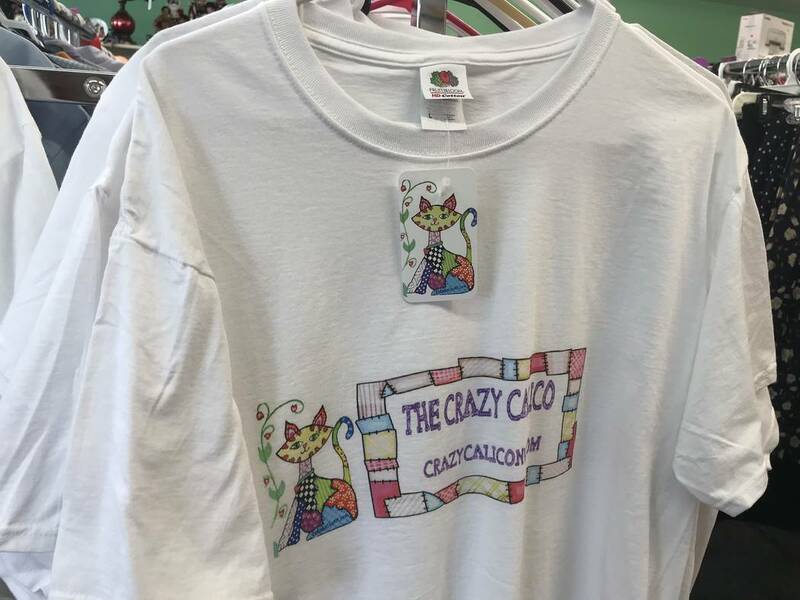 The Crazy Calico’s store hours are from 10 a.m. to 5 p.m., Tuesday through Friday, and from 10 a.m. to 4 p.m. on Saturday. Wieland takes consignments Tuesday through Friday, she said.